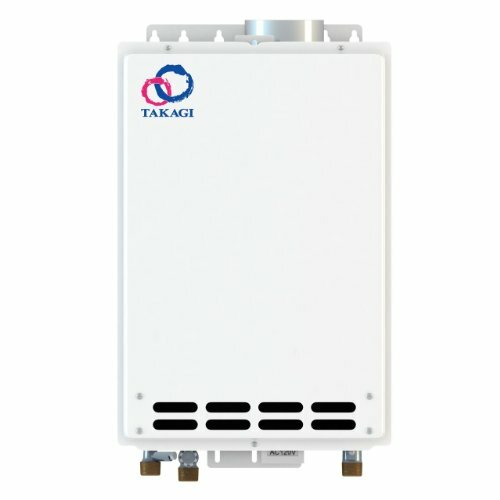 Why Takagi tankless water heater is the better option? The costs of heating water accounts for about a third of the average home’s energy budget. It is a good thing that manufacturers of tankless water heaters developed technology that resulted to better energy efficiency. In fact, top brands today, such as the Takagi tankless water heater have energy efficiency ratings of up to 83%. It is true that you will have to pay a bit more, particularly in installation, but you could get a return on your investment in a couple of years. The benefits outweigh the costs by far. You get to save energy and contribute in carbon footprint reduction, save money, have more space in your house since there are no tanks involved, plus you’ll get a virtually endless supply of clean, hot water. With a Takagi tankless water heater, there’s no need to worry about running out of hot water in the middle of a relaxing shower! Takagi is one of the top tankless water heater manufacturers in the world. It is in fact the first company that specializes in tankless water heating solutions to enter the North American market. 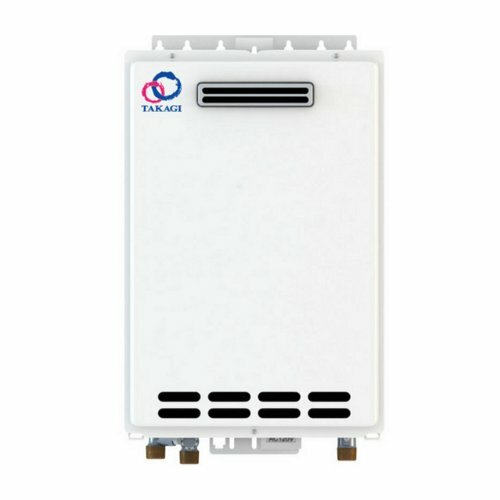 Newer Takagi Tankless Water Heater units are known for their direct vent convertible feature, as well as the air-fuel ratio rod which ensures optimum safety. The T-KJr2 is a compact, fully-modulating gas Takagi tankless water heaterthat is perfect for residential use. With a heating capacity of 140, 000 BTU, it can produce enough hot water to supply homes with two bathrooms, particularly those with milder climates. The KJr2 is available for indoor and outdoor installation. It can directly or indirectly supply hot water for domestic water systems such as hydronic heating systems, radiant floor systems and other applications. Venting with 4-inch Category III stainless steel is required. It is Energy Star qualified, with energy efficiency at 82% for natural gas and LPG usage. It offers a maximum flow rate of 6.6 gallons per minute (if temperature rise is at 35 degrees F); at 70 degrees F temperature rise, GPM is at 3.3. It comes with safety features such as freeze, overheat and surge protection. Troubleshooting is made easier by diagnostic codes. There are also inlet and outlet thermistors for temperature monitoring. The indoor model comes with a remote control and a power cord; outdoor models come with a remote control. Like with most tankless water heaters, ignition is electronic. The KJr2 is actually the smallest water heater in Takagi’s line-up, which makes it perfect for residential applications. So far, customer feedback is positive. They love its compact and lightweight design. Customers who bought the indoor model are pleased with the performance, and they love it that the remote enables you to make temperature adjustments for incoming hot water. Those who purchased the outdoor models were surprised at how easy the installation was (note that installation of a licensed professional is always recommended; that way, the warranty would not be voided). The T-K4 units are also fully modulating and gas powered. They are Takagi’s mid-range water heating solutions. They can be used for the same residential applications as the T-KJr2, but these units have gas inputs of up to 190,000 BTU, which means that it can produce sufficient hot water for bigger households with up to three bathrooms, particularly those with friendlier climates. Just like most Takagi tankless water heaters, the T-K4 comes in units that are specifically for outdoor and indoor installation. Outdoor units have a built in power venting system that is especially designed for installation outdoors. The T-K4-OS has a built-in power venting system and was designed specifically for outdoor installations. It does not require supplementary category III venting, which means that installation could be easier and quicker. The indoor models come with a direct-vent kit, so you have to option for DV conversion. The GPM rates of the T-K4 is exceptional, reaching 8 GPM at a temperature rise setting of 35 degrees F, and 4.4 GPM at a rise of 70 degrees F. Units are also Energy-Star qualified, with energy factor ratings of 82% for both NG and LPG. T-K4 units come with the standard Takagi safety features such as freeze, surge and overheat protection. Diagnostic codes will also be available for easier troubleshooting. Ignition is electronic, as with most tankless water heaters, and both indoor and outdoor models come with a remote control for temperature adjustment. Only the indoor model comes with a power cord though. The T-K4 is one of the highest rated products in most shopping websites. Customer reviews indicate overwhelmingly positive feedback. Those who bought outdoor models claim that the unit worked flawlessly. Customers recommended professional installation to keep the warranty intact though. Those who bought indoor models claim that the Tk-4 is perfect for larger families, saying that despite the initial costs of installation and purchase, having the Takagi tankless water heater in their homes are more than worth it. The T-D2 is still a compact model just like most Takagi tankless water heater, but it packs a lot of power. It is in fact recommended not just for residential applications but also for light commercial use. Gas inputs can reach as high as 199,000 BTU, so this water heater can produce enough hot water to supply homes with four bathrooms, particularly those with warmer climates. 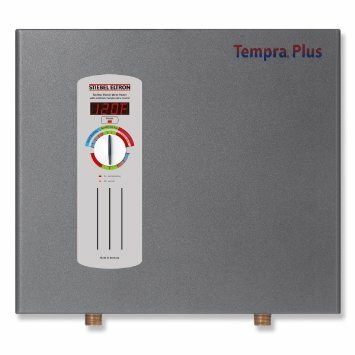 For starters, this Takagi tankless water heater comes with a commercial-grade heat exchanger made from HRS35 copper alloy. This results to a heavy-duty water heater that can produce excellent space-heating and domestic recirculation solutions; it can also be used for light commercial applications. The T-D2 has by far the best GPM rates, reaching 10 GPM if temperature rise is at 35 degrees F, and 4.7 GPM if temperature rise is at 70 degrees F. This ensures that you are sure to get hot water whenever you need it. Like other Takagi tankless water heater models, the T-D2 is energy-star qualified and has energy efficiency ratings of 82% for NG and LPG. Standard remote control features apply – both indoor and outdoor units come with one. The indoor unit comes with a power cord too. Units also come with standard Takagi safety features such as surge, overheat and freeze protection. Diagnostic codes are also available for troubleshooting. What’s amazing with this unit is that you can easily link up to four more without the need for additional remote control; perfect for small apartment buildings, beauty salons and small restaurants. Feedback has been generally positive. Those who were not completely satisfied with the product are displeased with the warranty policy – that faulty parts would only be replaced unless Takagi technicians would be the ones to perform the diagnosis. There are a lot who are satisfied, though. Some users even said that the water heaters exceed expectations in terms of durability and heating performance – plus they work silently. As with all decisions in home improvement tools and equipment, your choice would ultimately depend on your needs and budget. If you only have a smaller house, you may want the entry model – the T-KJr2. At $617, it is by far the cheapest. Of course if you are going to need a tankless water heater for light commercial applications, the best option is the heavy-duty T-D2. 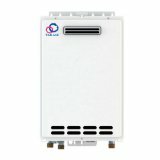 The T-K4, however, is the Takagi tankless water heater that offers the best value for money. At around $780, you only need to pay $160 more than what you would have paid for the entry-level tankless water heater, and you will get significantly higher heat output and excellent GPM.